Health and fitness for all levels. My wife and I love to relax in our backyard and hang out. We have been working on beautifying the backyard. One of the things we decided to do is a small fountain. 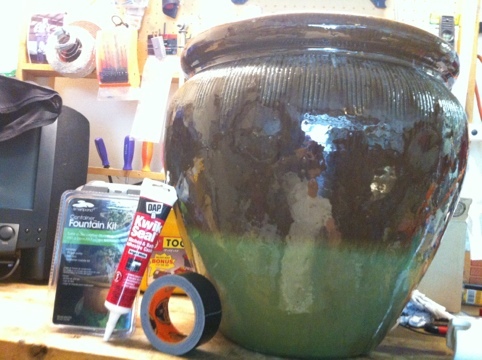 We picked out a large pot, water fountain pump, sealant, and black tape. What I ended up using is the pot, the fountain pump, a 5 gallon bucket, bricks, rocks and a stainless steel mesh to hold the rocks in place. The end result was a cool fountain and nice relaxing background noise while we enjoy the back patio. 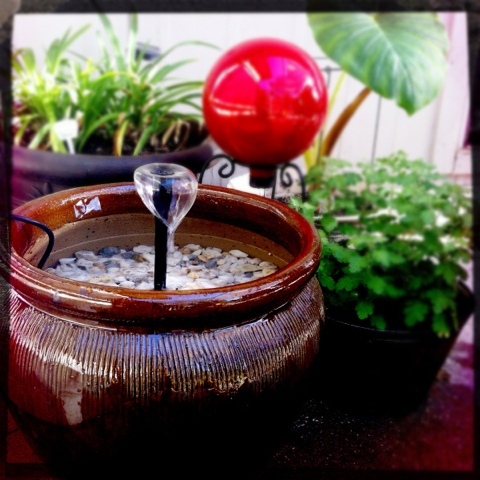 Posted by Craig Gresham on May 14, 2012 in Around the house and tagged DIY, feature, fountian, project, Water, yard. I love fitness and helping others reach their fitness goals by sharing information and surrounding myself with like minded people.